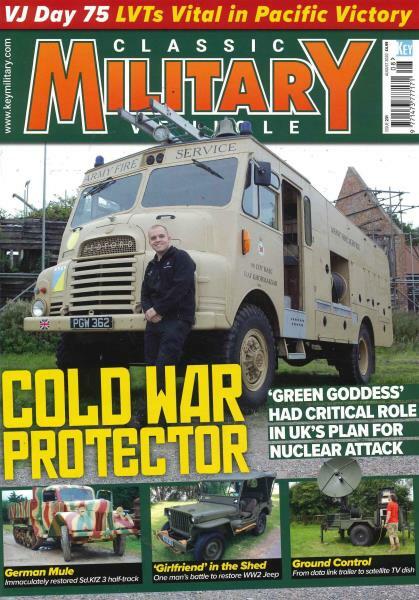 Classic Military Vehicle is the UK’s best-selling, monthly publication, launched in 2001, in dedication to historic military vehicles. Buy a single issue or subscription to Classic Military Vehicle magazine. Classic Military Vehicle consists of informative and detailed articles offering the best coverage and instructive advice. It focuses on wheeled and tracked military hardware that has been featured in conflicts around the world. Every issue also includes a vehicle price guide and commentary on the market and trends, in addition to show listings, product reviews. Classic Military Vehicle is written each month by enthusiasts for enthusiasts; writers and readers have the opportunity to express their passion through writing, buying, restoring or driving classic military vehicles.